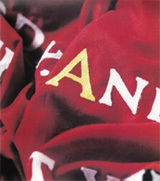 In 1998, with the help of a skilled team, Davis created a series of poems in the form of exquisitely made flags. These were exhibited in the main concourse of the building that had once been Auckland’s central railway station. The flags added up to a kind of long poem, whose central character is the 19th century Ringatu prophet and guerrilla leader Te Kooti. 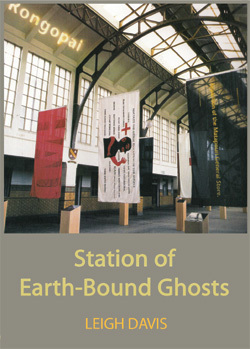 To promote awareness of Davis’s extraordinary art, the DVD of STATION OF EARTH-BOUND GHOSTS, which includes behind-the-scenes coverage of how the work was made, can be purchased from this website for $15, plus $5 packaging and postage in New Zealand.